My Bag is Packed: What a Trip! 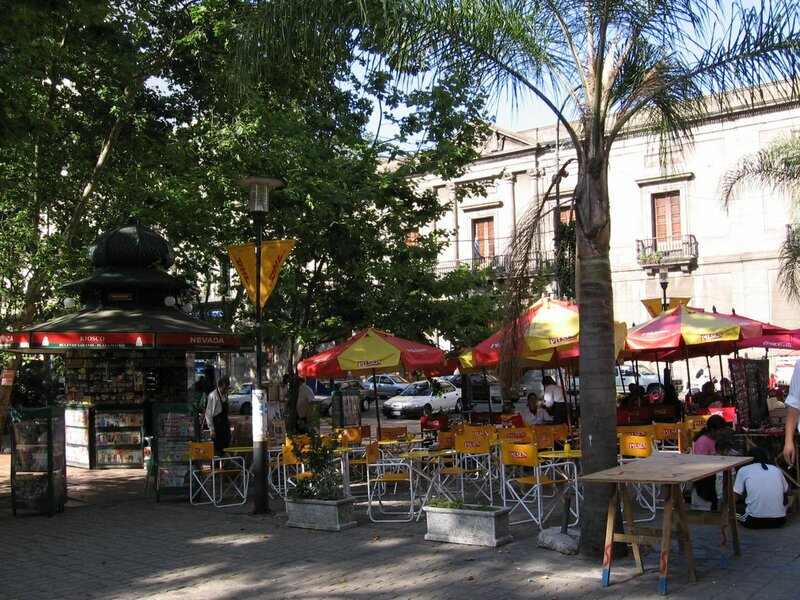 My experience in Uruguay and Argentina was great! They are two beautiful countries with great people. My travel companions were funny and easy to travel with. 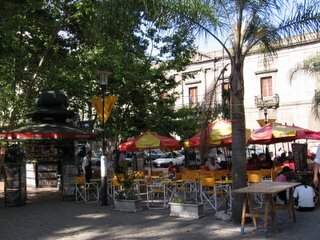 Here is a very nice and relaxing plaza where we enjoyed Coca Cola Light a couple of afternoons. 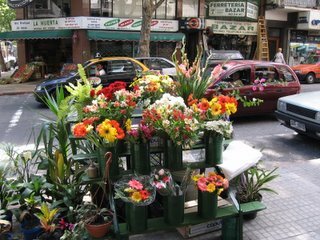 We visited a beautiful resort city on the Atlantic coast, we toured the Congresso, visited the incredible cemeteries in both Montevideo and Buenos Aries, attended half a ballet, shopped, and so much more. I will probably have to use several more posts just to describe a small part of the week. 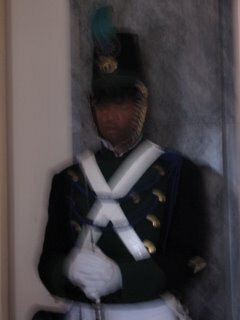 Here is a blurry photo of a guard at the Congresso in Montevideo. It is blurry because I was trying to take the picture without a flash or the sound of the shutter disturbing his peaceful sleep. He was actually swaying in slumber. I was about to laugh out loud. 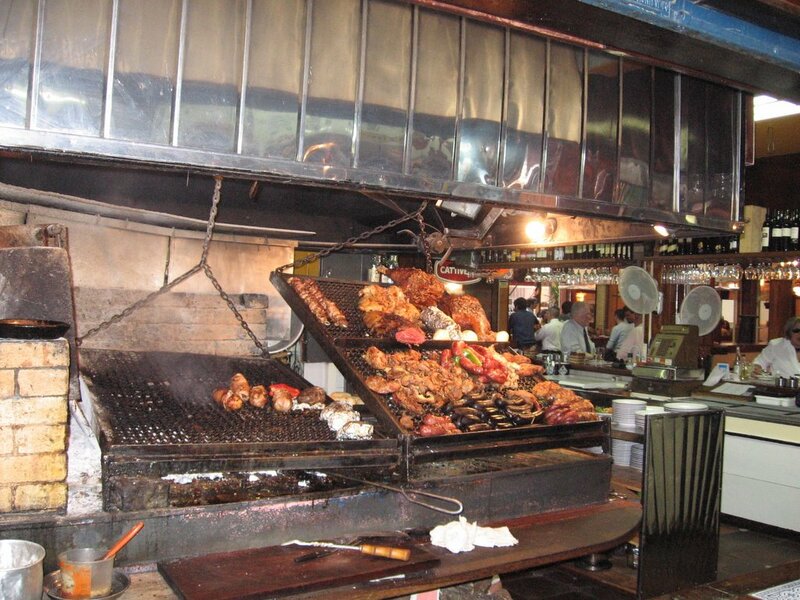 Uruguaians (or maybe it is Uruguayans) and Argentines LOVE to eat grilled meat and lots of it. 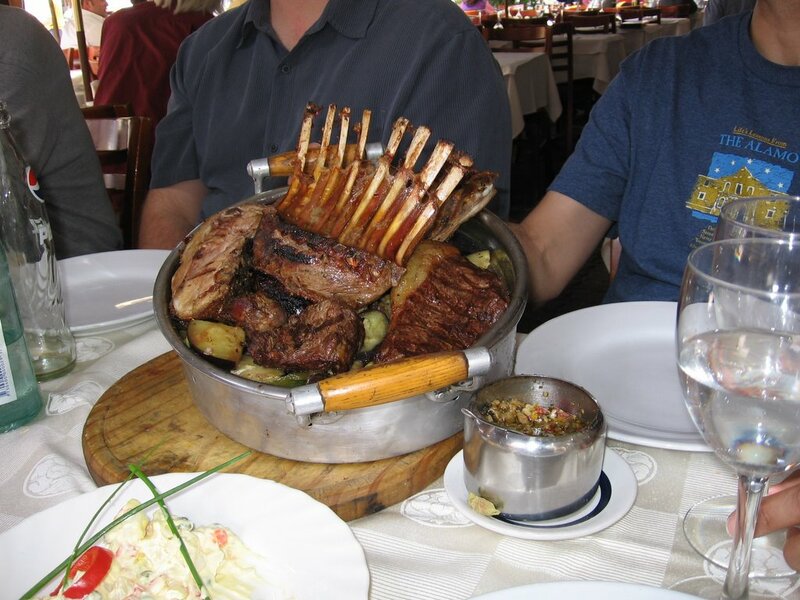 They know how to grill. It was so very good and not nearly as expensive as steak here in the U.S. I did my very best to comsume my share every day. The grills at the restrauants are bigger than a VW bug and filled with all manner of meat. You have to love a country where they have beautiful flower cart on the downtown streets. Here is a preview of future postings about this trip: fainting at 40,000 ft. somewhere over Columbia, getting lost in the rain with the ferry getting ready to leave without me, a one and half hour suttle bus ride to travel about a mile and half, shuttle bus driver stopping in the middle of ten lanes of moving traffic to ask a taxi driver how to find a hotel, racing to the ballet and arguing with the ushers to get seated about 30 seconds before the intermission, and taking a dive at the soccer stadium. glad you made it there and back safely! love the pictures, thank you for sharing! Merry christmas, Happy new Year!